Hi! You know, it’s been so long since I blogged that I have no idea what I’m doing anymore. I hope you’ll bear with me as I get used to it again. 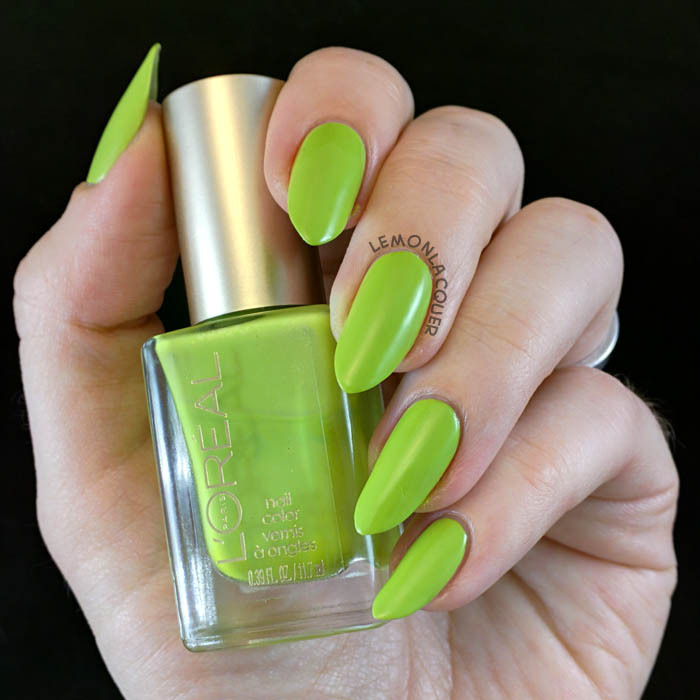 This isn’t a fancy post or anything, just a nail of the day, and I’ll probably do some more of them as I get used to blogging again, but it’s good to be back, if a little nerve wracking. I’ve been working through a bunch of my untried polishes lately, as I have *ahem* rather a lot. I’m pretty sure I picked this one up on clearance early this summer, but I can’t remember. This is three coats of L’Oreal – New Money, and the brush was cut very badly. If I hadn’t been dealing with an angled brush shape, I might have been able to get away with two. I’ll have to trim the brush before I use it next time. A friend of mine also pointed out on instagram that she’s found L’Oreal brushes to be pretty poorly cut in general, so next time I’ll be looking at the brush before I buy, for sure. Aside from the brush quality, I found the polish did apply reasonably easily, and dried pretty quickly. It wasn’t difficult to get an even creme finish, and it cleaned up at my cuticles easily with acetone and a brush. What do you think of this sort of colour near Halloween? I thought it was pretty seasonally appropriate, myself.